Women in the workforce have been waiting for the wage gap to close for decades. Despite a surging presence in nearly every industry, that discrepancy doesn’t seem to be going away anytime soon. Women today typically make 79% of what a man makes in the same position – or as much as half a million over the course of a career. Maybe it’s time to stop waiting. It is also applicable to any age, whether you are in your 20s, 30s or 40s. If you’re a woman who wants to make a fair wage, you need to take matters into your own hands. Here are some foolproof methods to make sure you get what you deserve. Have you ever wondered why money is such a taboo subject in the workplace? For employers it’s obvious – discouraging income comparisons gives them more leeway to stiff the people at the bottom of the barrel. If you don’t know what your peers are making, you can’t claim an unfair wage discrepancy. Making more money is a great way to start saving that extra income. Don’t be afraid to talk about money at work. One of the biggest misconceptions is that you shouldn’t talk about your income because it could hurt you. On the contrary, finding out you earn less than someone you’re managing can be the catalyst to jump starting negotiations or finding a new gig. 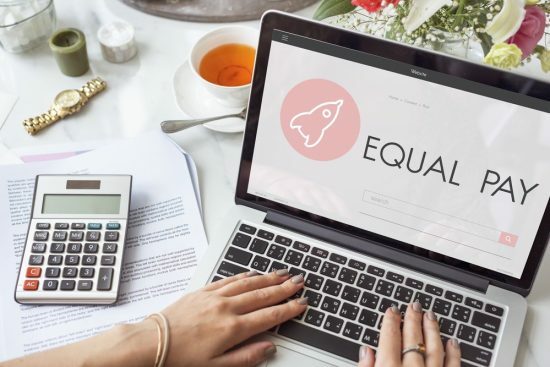 Don’t take our word for it: A study published in the American Sociological Review found that firms whose employees were open about their salaries had a smaller gender pay gap than organizations that kept salaries secret. Women can start by politely asking their coworkers what they’re making. Even having a general range of your colleagues’ salaries can give you an idea of whether or not you’re making less than you should be. One of the only ways women can take charge of their income is to negotiate. Closing the pay gap will take decades to fix, but you can do your part by not settling for less than you’re worth. Research from George Mason University found that people who consistently negotiate will earn $634,000 more over the course of their lifetimes than people who don’t. The average successful negotiation nets you $5,000 more per year. Not sure how to negotiate? Worried you’ll come off as greedy? Read the tips below for a rundown on how to proceed. Negotiate at the beginning. It’s best to negotiate before you’ve accepted a job offer. You have the most leverage when the company is interested in you, but not sure if you’re going to accept their offer. Once you’ve agreed to work for them, you’ll have less room to ask for more. Bring proof. If you’ve been at your organization for at least a year without a raise, it might be time to ask for one. But most companies don’t give raises to employees willy nilly. They need to see that paying you a higher wage is more valuable than hiring someone else at a lower salary. Bring in a list of your achievements with specific numbers. For example, don’t just tell your boss you increased user engagement. Say that visits to the sales page have increased 30% since you arrived. Start early. What you earn at each job serves as leverage for how much you can ask for at the next one. The biggest pay jumps come in the first few years of your career, so it’s vital to negotiate when you’re just starting out If you spend that time waiting for your boss to recognize and reward your behavior, you’re going to miss out down the line. Don’t stay loyal to a company. Decades ago, companies rewarded their employees with pensions and fair salaries. They gave out promotions and took care of their people. As the job market has changed, some employees still feel that loyalty toward their bosses – to their own detriment. Research shows that when people switch employers, they get a 10-20% pay increase. Those who choose to stay at their current gig typically get a 3% raise. It’s not wise to switch jobs too often, as that might seem suspicious to a hiring manager, but don’t be afraid to walk away from a job that’s clearly going nowhere. Ask for more than you really want. Every negotiation discussion is like a battle. No side wants to give up more than it has to, and every person wants to walk away feeling like they won. If you’re negotiating for a salary bump, ask for at least 10% more than what you really hope to get. That way if the employer offers a little less than what you asked for, everyone can still walk away feeling like the victor. Do your research. It’s hard to feel confident asking for a raise if you don’t know what your peers are making. Look up average salaries at Glassdoor and see how your income matches up. If you see that your salary is lower than what others are bringing in, tell your employer that you’re currently earning below market value. Ask questions. One of the best ways to prove your value in a negotiation is by figuring out how your employer measures that value. If you can get a better understanding of what they’re looking for, either before or during the interview, you’ll be better equipped to appear valuable. You’ll also seem more engaged and focused. Let the employer name the first number. In negotiating, the first person who talks loses. Keep that in mind throughout the conversation, especially when they bring up exact figures. Let the employer mention the salary first. The number you could be hoping for might be much lower than what they’re prepared to offer. Despite countless articles about the pay gap and books like “Lean In,” many women still struggle to ask for more money. 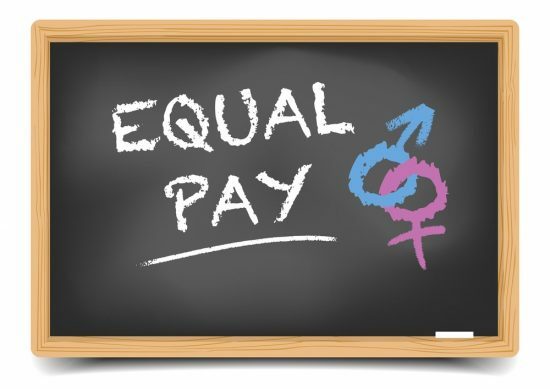 According to research published in the Harvard Business Review, half of male MBA graduates negotiate their salaries compared to only 12.5% of women. It’s a psychological yoke that many find it difficult to cast off. Every woman wants to make more money, but it’s hard to overcome decades of being told you’re worth less than your male counterparts. For some, it’s just easier to fall in line. But no struggle is won without a fight. When it comes time to negotiate her own salary, Neale thinks of all the other women in the workplace struggling to get what they deserve.